The universe says that prevention is better than cure. 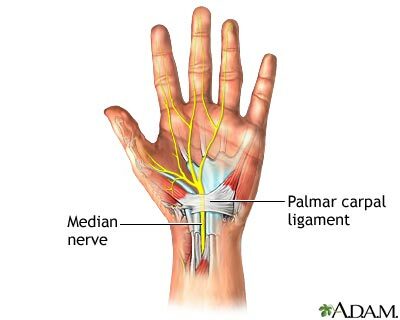 Carpal tunnel syndrome is a disorder in which the median nerve is compressed at the wrist causing symptoms like tingling, pain, coldness, and sometimes weakness in parts of the hand. It is the most famous of a class of disorders called repetitive strain injuries. It happens a lot to computer users, especially the ones in the IT field. If you’ve ever experienced a tingling or numbness sensation you’ve had for months in your hand and wrist, don’t ignore it. The injury could worsen. Below are several useful tips on carpal tunnel prevention. Emerging research suggests that a monitor position lower and farther away may be better. 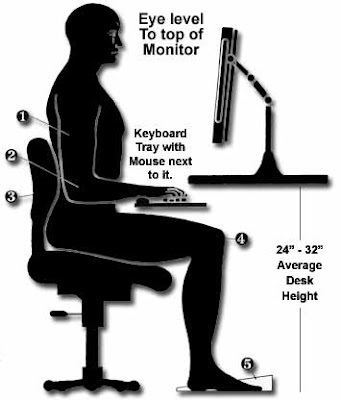 The chair and keyboard are set so that the thighs and forearms are level and that the wrists are straight and level, not bent far down or way back. If the table is too high to permit this, it may be better to put the keyboard on your lap. 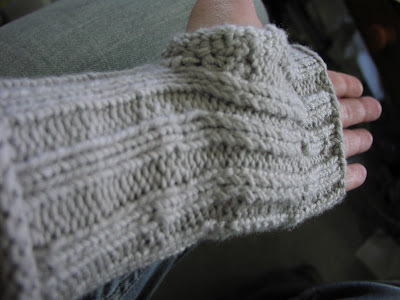 WRONG : Don’t strain your hands by bending it. RIGHT : Keep it straight. You will last longer typing this way. While you are actually typing your wrists should not rest on anything, and should not be bent up, down, or to the side. Your arms should move your hands around instead of resting your wrists and stretching to hit keys with the fingers. NOTE : palm rests give you a place to rest your hands only when pausing from typing, NOT while you are typing. When you stop typing for a while, rest your hands on your lap or at the sides instead of leaving them on the keyboard. Place the pointing device close to the keyboard. 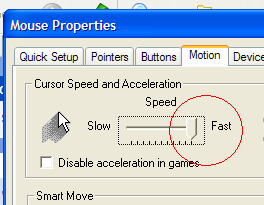 Maximize the movement speed of your mouse cursor so that you move less. Learn as many shortcut keys as possible. I use WordPress, Windows XP and Firefox shortcuts to write and publish my articles everyday. Almost all operating systems such as Windows and Apple OSX have accessibility options that reduce mouse usage. Cold muscles & tendons are at much greater risk for overuse injuries, and many offices are over-air-conditioned. Many carpal tunnel syndrome patients do regain the ability to work and regain substantial freedom from pain, although they may find that they remain vulnerable to re-injury and flare-ups. DON’T GIVE UP. Recovery may take much longer than you think you can bear. DON’T GIVE UP. Don’t aim for lighter weights but for stronger arms! The site by the ICP (Interactive Clinical Pharmacology) of New Zealand has been designed to increase understanding of important concepts and principles in Clinical Pharmacology. it gives us an insight on how drugs work and effect our body. Examples on the site have been developed using Macromedia Flash to enable user interaction. Here are the 16 interesting topics covered. You will learn what steady rate concentration means. Learn how drug molecules interact with enzymes to form metabolites. Learn how altered liver and kidney functions may affect drug clearance. Only important in interpreting measured drug concentrations. The volume into which a drug appears to be distributed. 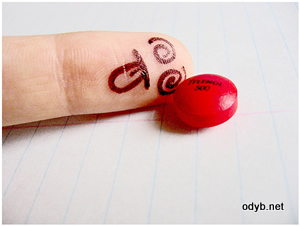 Determines loading dose. Acids are ionized in basic media. Bases are ionized in acidic media. The time for the concentration of the drug to halve. Drug clearance and dose requirements vary between ages. The route of drug administration influences pharmacokinetics. Effect of drugs on the pregnancy and vice versa. The fraction of drug that reaches the systemic circulation after oral ingestion. When drug concentrations exceed the capacity of metabolism. The action of the drug on the body. How genes determine drug concentrations. Varying dose regimen for different clinical settings. During my one year working for Renesas, I had trouble keeping awake during the afternoons. It was embedded into our minds that sleeping in the office is considered bad. It’s not encouraged at all. But from what I noticed, almost everyone in the office was drowsy and looked lethargic, trying hard to keep awake. Little did everyone know that if done correctly, taking regular day-time naps will give you a huge boost of energy throughout the day. Now that I’m out, I can reveal my secrets. During my first few weeks, I realized that the toilet cleaner cleans twice, once at 7am and another at 2pm. Once I notice the cleaner walking out of the toilet, I will quickly run into one of the freshly cleaned cubicles, pull the toilet seat cover down, sit down facing the water tank, fold my hands above the tank and sleep. =) I will set the alarm to ring half an hour from time. Later on, I realized that it is actually natural that we feel sleepy in the afternoon. Our body temperature decreases by 1° during mid afternoon. This slump is what makes a lot of people sleepy during the day, and why so many people feel the need to take an afternoon nap! Did you know that taking a nap in the afternoon is a culture in Spain and Mexico? Deep sleep is the sleep phase where our body temperature begins to drop really low, our respiration, heart rate and blood pressure decreases. If you’ve ever been woken up out of “deep sleep”, you know that it’s almost impossible to get up. Waking up during or after a major deep sleep phase makes you feel lethargic, slow, and disoriented. It takes about 45 minutes to enter the first deep sleep phase. If you limit your nap to 45 minutes, you will sleep mainly in Stage 2 sleep. Stage 2 sleep also plays a major role in restoring physical energy because 50% of our night sleep is spent in Stage 2 sleep. This is why you may have heard before that a simple 10 minute nap can totally re-charge you. The correct way to take naps is to keep it super short. Some studies even show that taking short naps can reduce the incidence of coronary heart disease by as much as 30%. I would personally recommend that you do take a short nap during the day, and you’ll be surprised at how energized you feel for the rest of the day when you do take one! Limit the nap to 45 minutes, if you still feel tired after the nap, then shorten the nap time. The amount of time required to enter deep sleep varies from person to person. Because everyone experiences the afternoon body temperature slump, we can assume that nature intended us to have an afternoon nap.